AROUND 700,000 EGGS thought to have been contaminated with an insecticide in the Netherlands have been distributed in processed foods across Britain. “It is likely that the number of eggs that have come to the UK is closer to 700,000 than the 21,000 we previously believed had been imported,” said the Food Standards Agency, a government department. But despite millions of eggs being recalled across eight European countries over the past week, there doesn’t seem to be a threat here in Ireland. The Food Safety Authority of Ireland (FSAI) said today that although some egg products were recalled from a handful of outlets back in June and early July, there is no cause for concern here. The number of egg or egg products imported is very small. The risk to consumer health is very low. The FSAI said it would continue to trace any distribution in Ireland. A spokesperson for the Department of Agriculture, Food and the Marine told TheJournal.ie that tests for the insecticide in question, which is called fipronil, is part of Ireland’s annual residue testing programme. There were no positive samples in 2016. All samples tested to date in 2017 have also been negative. The British government said the eggs had not been sold individually, but were in processed foods such as sandwich fillings and salads – some of which will have already been eaten, with the rest now being withdrawn from sale. “Many of the eggs involved were mixed with other eggs which have not come from affected farms, so fipronil residues will be highly diluted,” said the agency, referring to the insecticide which was first found in Dutch eggs. Agency chairwoman Heather Hancock said: “The number of eggs involved is small in proportion to the number of eggs we eat, and it is very unlikely that there is a risk to public health. Based on the available evidence there is no need for people to change the way they consume or cook eggs. However, fipronil is not legally allowed for use near food-producing animals and it shouldn’t be there. 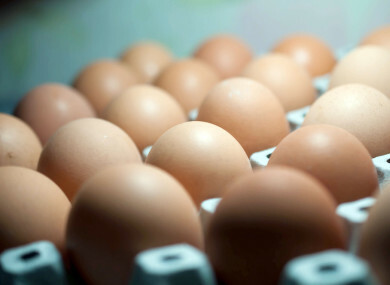 Dutch investigators have arrested two suspects today in connection with the eggs’ recall, after raids at eight locations across the Netherlands were coordinated with EU authorities Europol and Eurojust. Email “Thousands of contaminated eggs recalled in the UK - but no threat to Ireland yet”. Feedback on “Thousands of contaminated eggs recalled in the UK - but no threat to Ireland yet”.